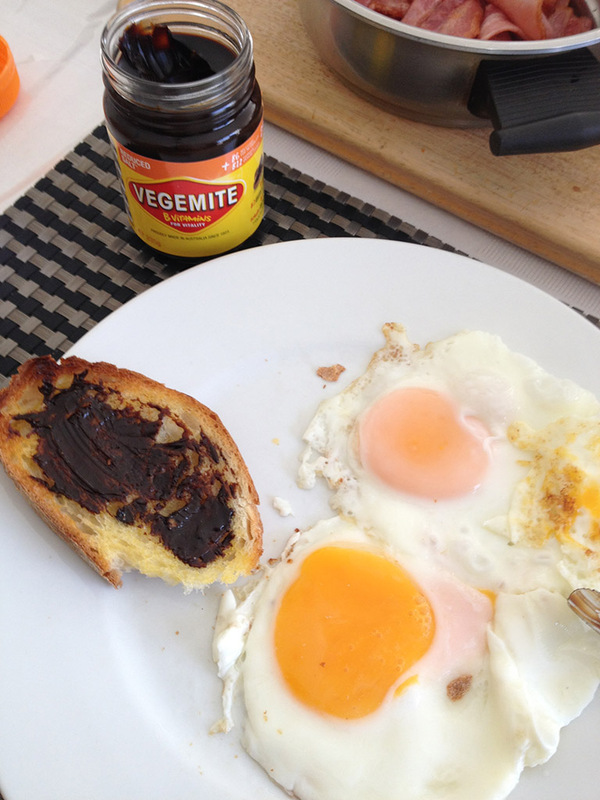 Vegemite is truly a different kind of thing. 🙂 Even though it looks like chocolate spread it tastes like vegetables concentrate mixed with ton of soy sauce or with a lot of salt. Combination of salty, bitter and vegetable taste mixed all together. I’ve read somewhere that only Australian born and raised kids like it later as grown ups due to it’s specific taste. 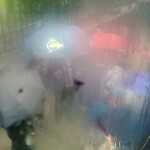 Later we learned that it is best in small amounts otherwise it can be too much. Pavlova cake was made in 1920s in honor of Russian ballet dancer Anna Pavlova. 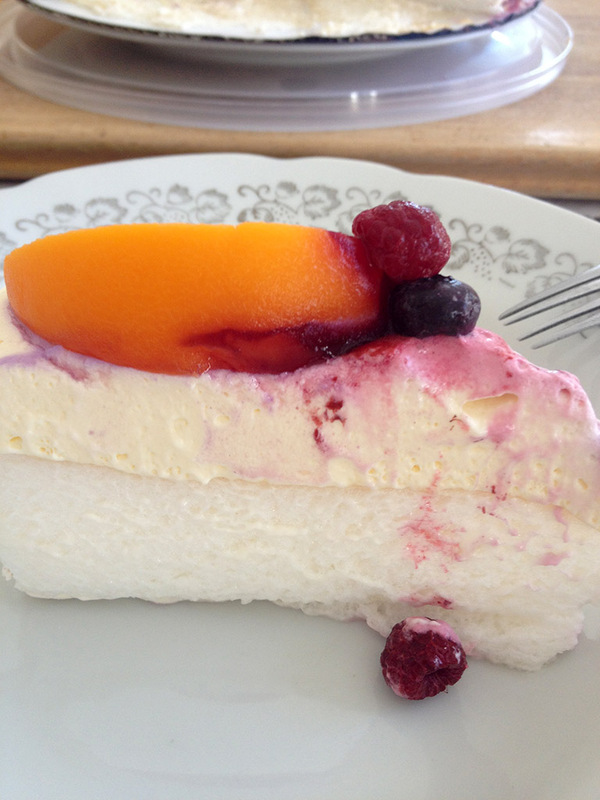 It is a meringue dessert with a crisp crust, soft and light inside, usually served with fruits on top. We had it the very first evening as a desert. From the blog post mentioned above Lamington looked to me as our classic “čupavci” cake and to be honest with you, those are similar cakes. 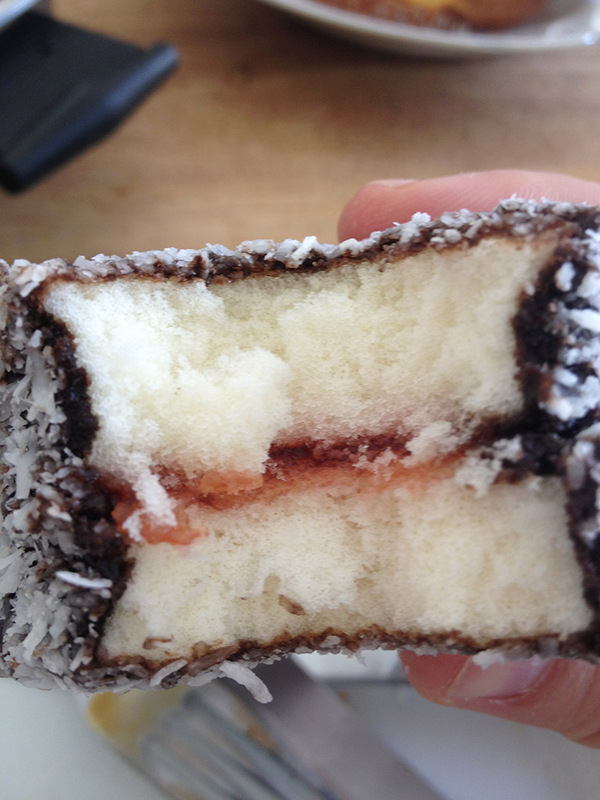 The only visible difference is that Lamingtons are made in three different flavors. Plain – totally the same as our cookies, and with strawberry jam or cream filing. When I googled “čupavci” now to provide a link with a recipe to our cake I’ve noticed that even Google finds these two cakes the same. If you like coconut it’s a must try thing while in Australia. 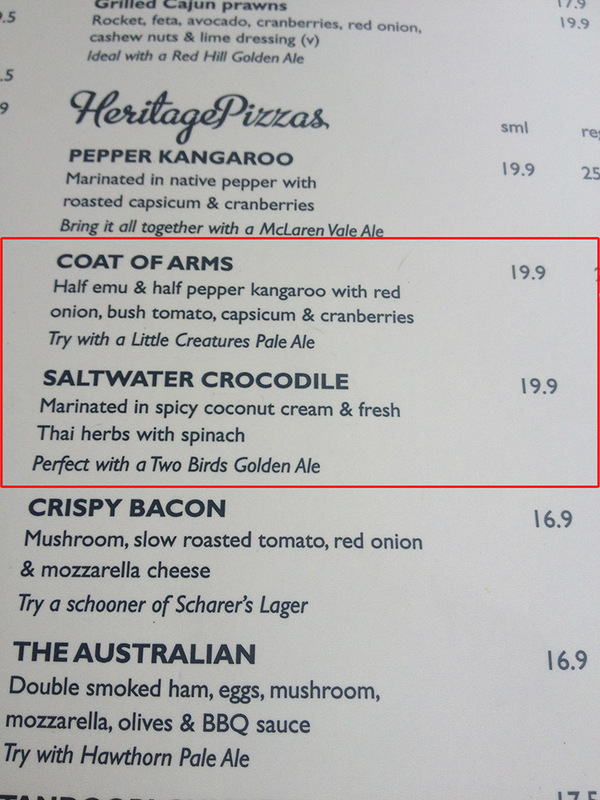 During our stay in Sydney we found an Australian Heritage pub that serves gourmet pizzas, with crocodile, emu and kangaroo meat. Since I really wanted to try it, it was a great opportunity to try all of them at once. Emu tastes like a big bird, and since I tried ostrich before I think they are similar in a way. If you tried both chicken and turkey and you can tell the difference, it is almost the same difference between turkey and emu. It’s bit more chewy but nice meat. This was my first chance to try kangaroo meat and I really liked it. It’s pure muscle, it’s a bit more chewy but if you like steak, specially done rare or blue than you’ll like kangaroo meat. I think crocodile tastes in a way similar to eel without bones. It’s closer to fish but it’s not fish, and it is not chicken. It is a bit chewy but in general nice meat to eat. 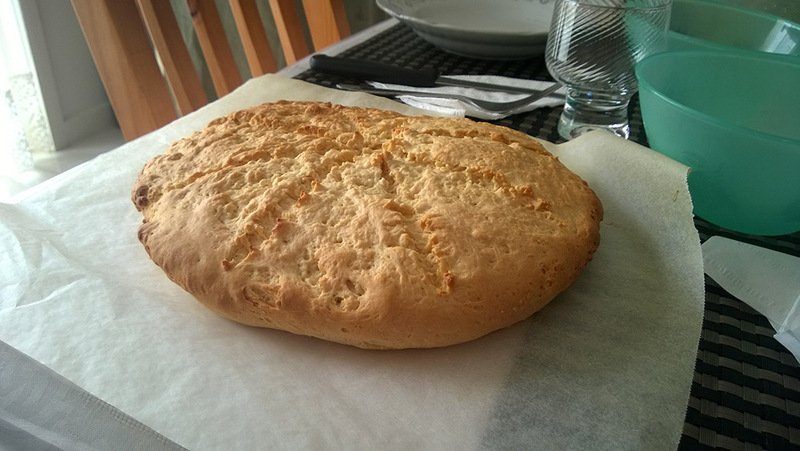 Damper is a traditional Australian bread that was made by travelers, native aborigine, stockmen and other hard labor workers. It was made only of flour and water and then baked in the ashes of camp fire. 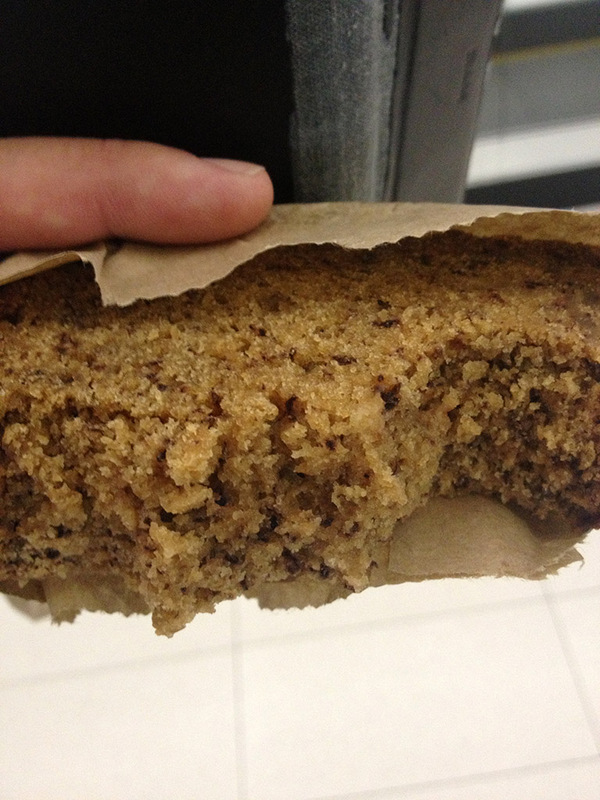 It could be enhanced with milk, butter, grains or anything that would give some taste to it. 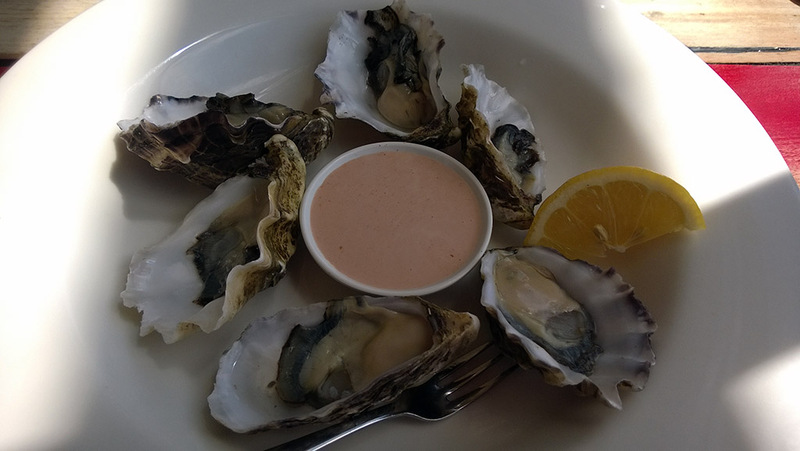 Since the majority of Australian population lives on the coast and the ocean is (was) rich in fish it is not a surprise that seafood is recommended to try in Australia. We tried barramundi fish, flake (shark) with chips, mussels and king prawns. 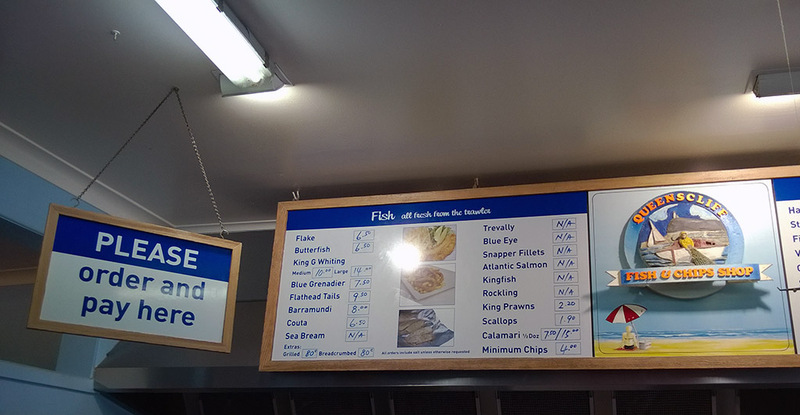 As a fish lover and person from the Croatian coast I must admit that Australian fish is really tasty. Yeah, one of the things on the list was the meat pie and on the same place in Swansea there was pie in the menu so I ordered it. 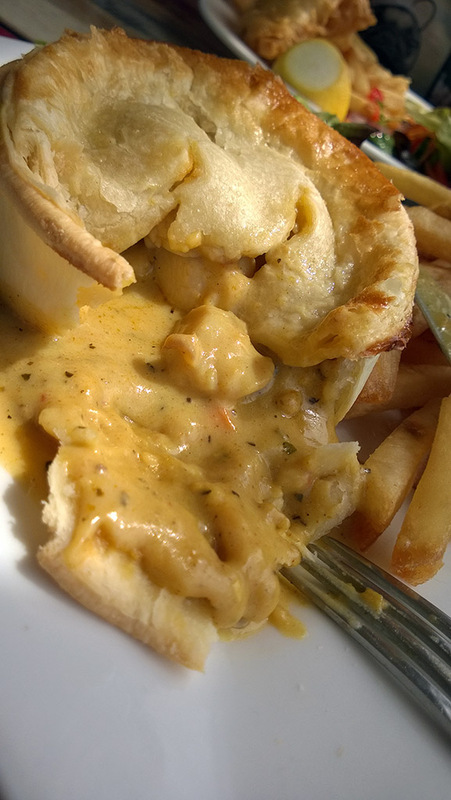 However I’ve read only “pie” part not the actual content, so I got the scallops pie. 🙂 It was awesome so no objections. 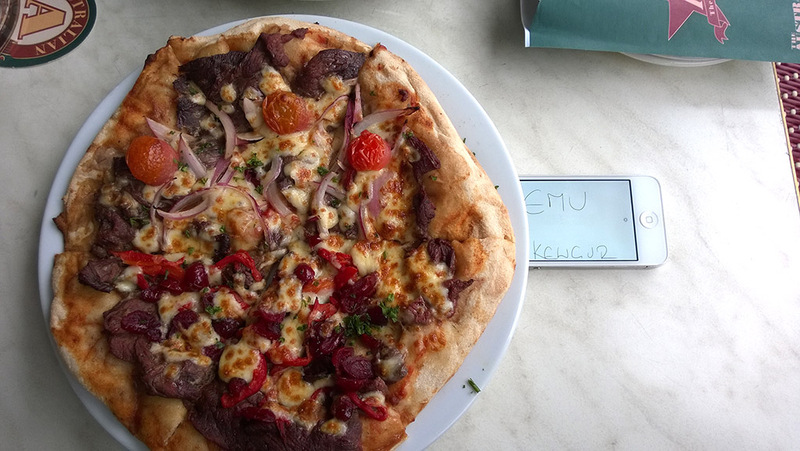 After trying small chunks of kangaroo meat on mentioned gourmet pizza, I wanted to try a proper kangaroo steak. We’ve found it in a supermarket together with roo (Australian way of calling kangaroo shorter) sausages and we had a nice kangaroo barbie (another shorter word for barbecue) on our last day. If you like beef steaks done rare or blue you will definitely like kangaroo meat. It is a bit more chewy (yeah, all three weird meats are bit more chewy I know) so you have to cut it on thinner chunks, but it is recommended to cook it rare otherwise it might get really dry and hard. 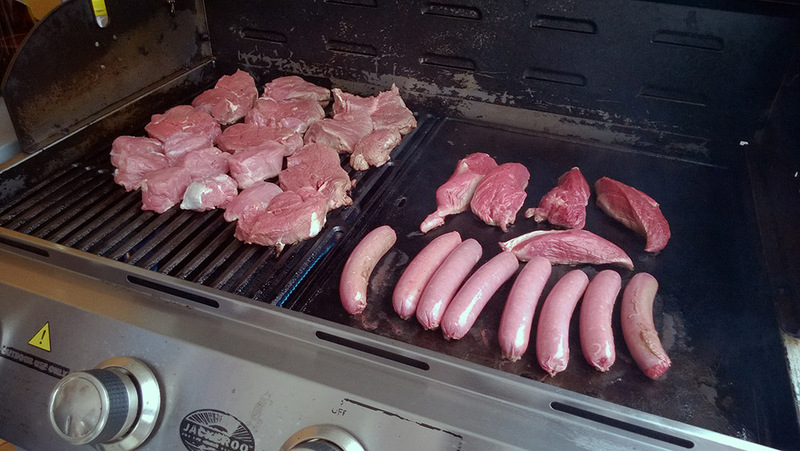 We did it properly and it was awesome, as well as sausages. 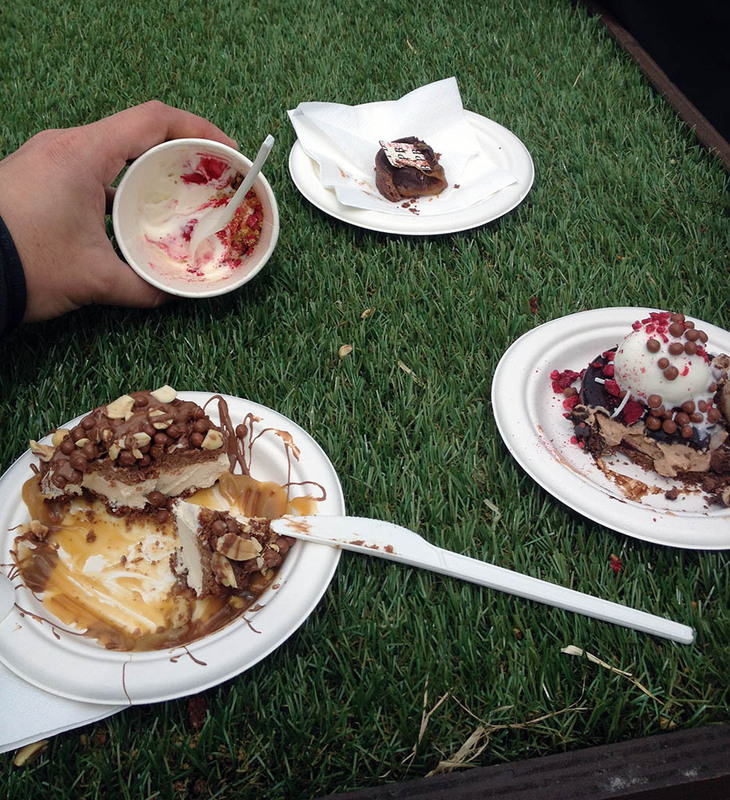 Australian cuisine became famous with various pies even though they are a well know English thing. 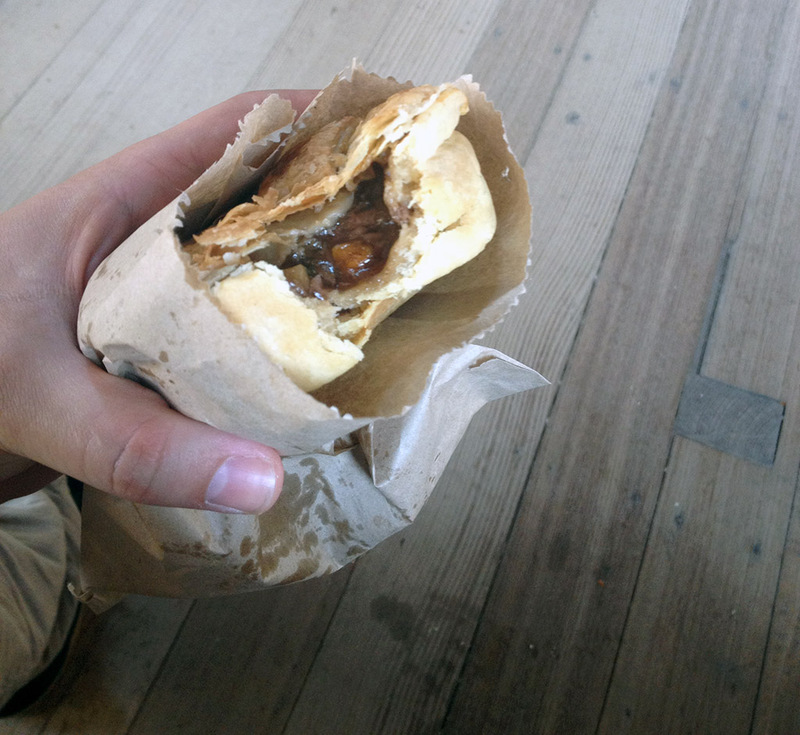 One that is not English for sure is the kangaroo pie. Unfortunately we missed that one this time. This one was lamb pie and was awesome. 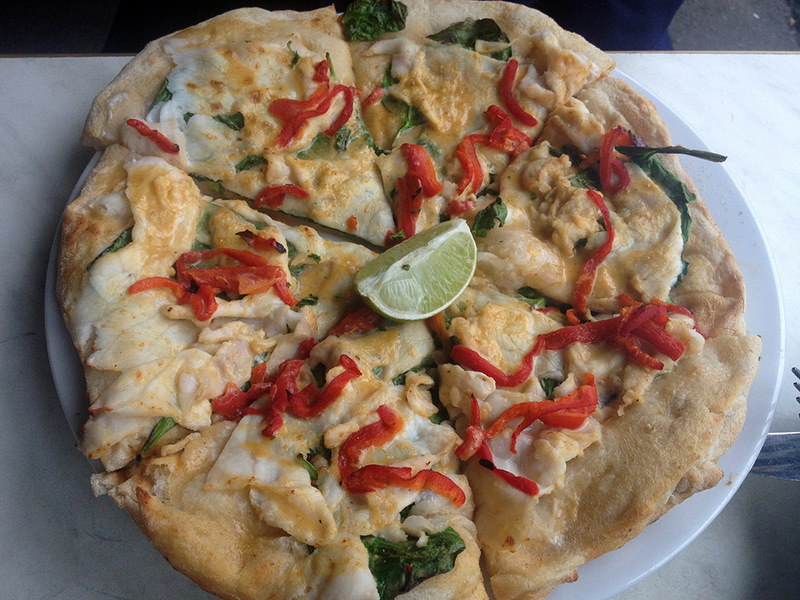 There are many kind of pies to try in Australia, with different type of meat or vegetarian fillings. 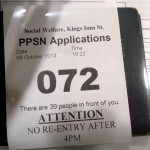 Unfortunately I forgot to take a photo of ANZAC, but I had it the very same day after the meat pie. Similar to damper, ANZAC cookies are made purely of flour, sugar, oats and butter. They were very popular since World War I and were made at home and sent to Australian soldiers around the world. Since to prepare them you don’t need eggs or milk they last much longer. They taste nice as any tea cookies. Highly recommended. 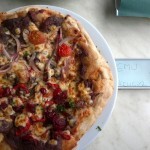 Unfortunately, when I was counting “top ten” list I’ve counted emu as tenth and totally missed quandongs. It is native Australian fruit that grows on trees and is regular food in aboriginal diet. Apparently it is sweat and nice, and can be eaten raw but it’s left for our next visit. Top ten list stops here, and as you can see we did 9/10. However during our stay we had opportunity to try some other things and my list is a bit bigger. During our stay on Tasmania we’ve noticed a huge number of sheep around the island. 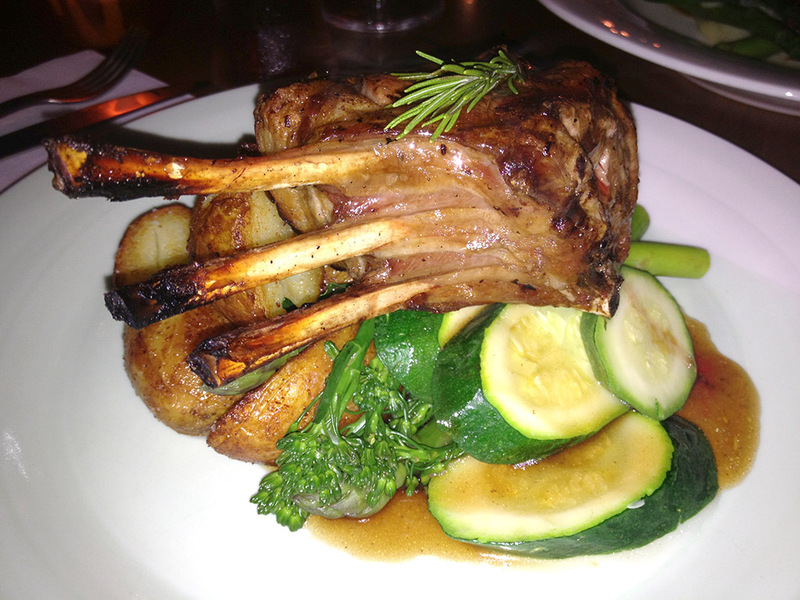 Since climate is similar to Irish and sea is all around it is a perfect place for good and tasty lamb. We had it in a few different meals, and it is one of the best I’ve tried so far. 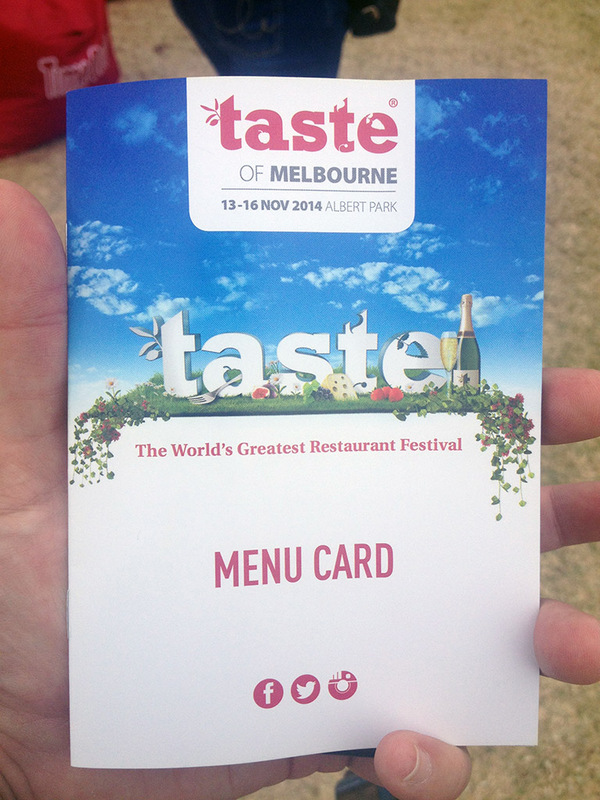 Again, lucky as we are, while we were in Melbourne there was a food tasting festival called – Taste of Melbourne. It is organized by several fancy restaurants whose owners decided to offer their specialties to the people of Melbourne all on one place. We tried many interesting things but the most interesting was wallaby. Wallaby is, let’s say, a smaller kind of kangaroo. 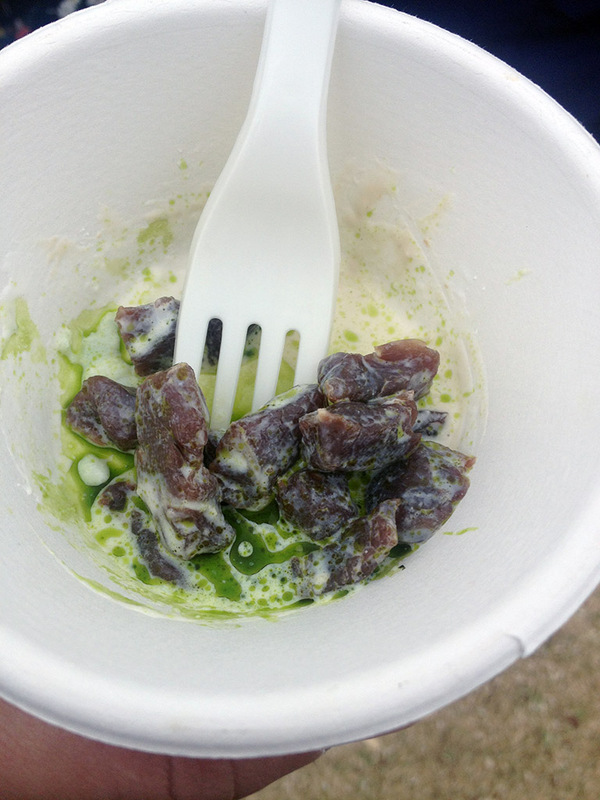 However, this was dried and then marinated wallaby in the pickled dill sauce. 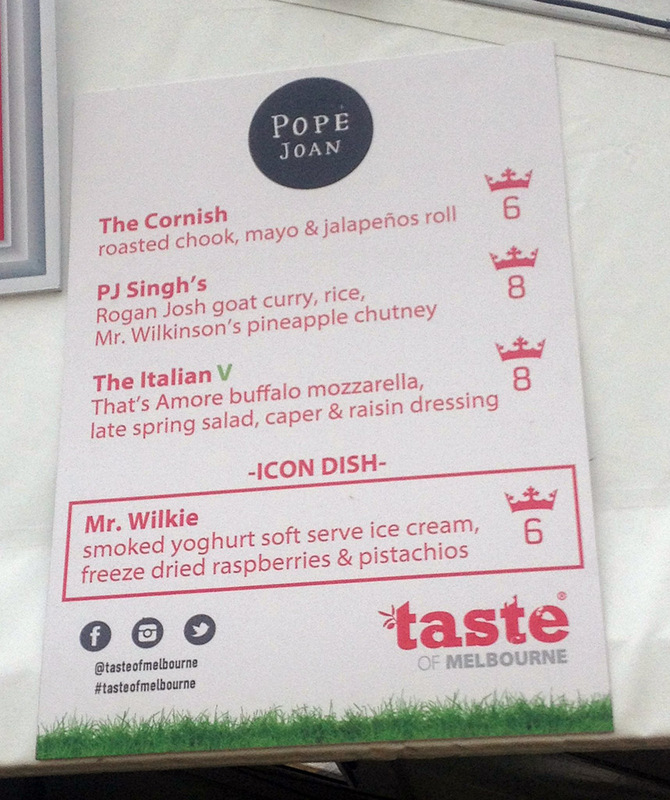 I don’t know which restaurant was that but in case that you are visiting Melbourne, it might be a thing to find. 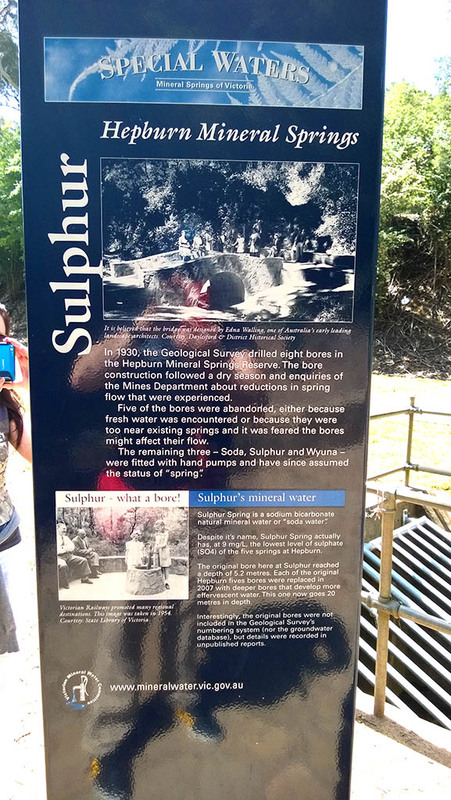 In Daylesford near Melbourne we had a chance to try sulphur water. I am well aware that people swim in sulphur water as we have these healing spa baths in Croatia, and it usually smells terrible around them. 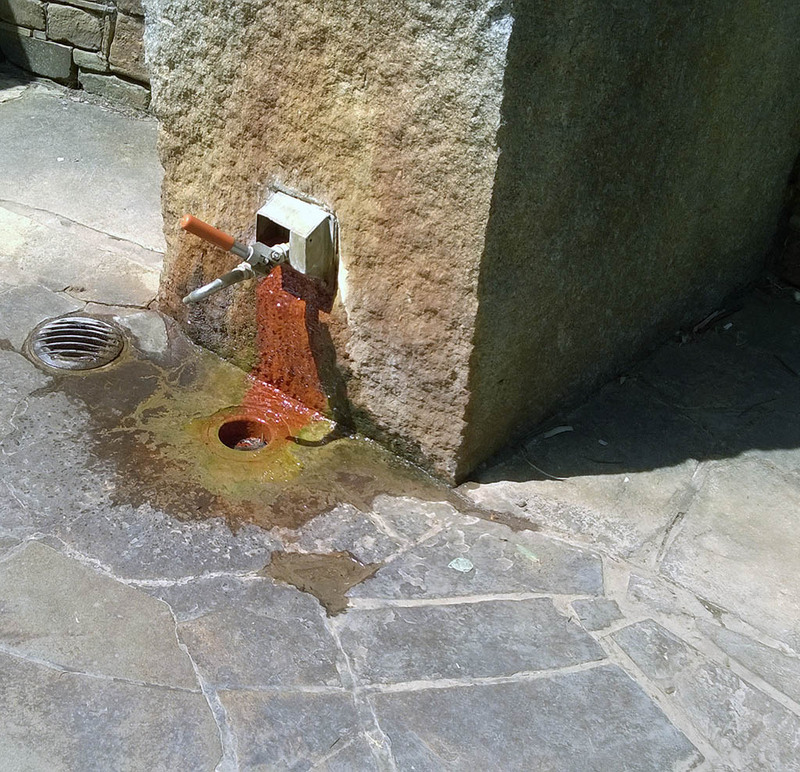 However, I’ve never paid attention to detail and I’m not aware if we also drink that water. 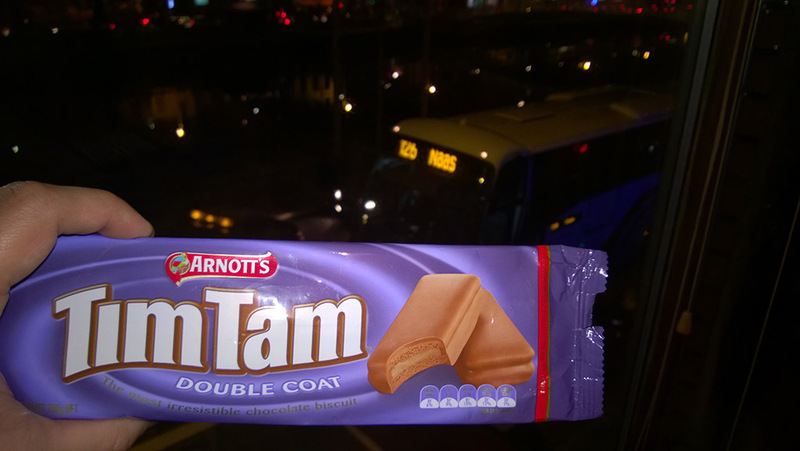 And of course, last on my and everybody’s Australian list – Tim Tam. It’s a delicious chocolate biscuit made of three layers forming a chocolate sandwich. 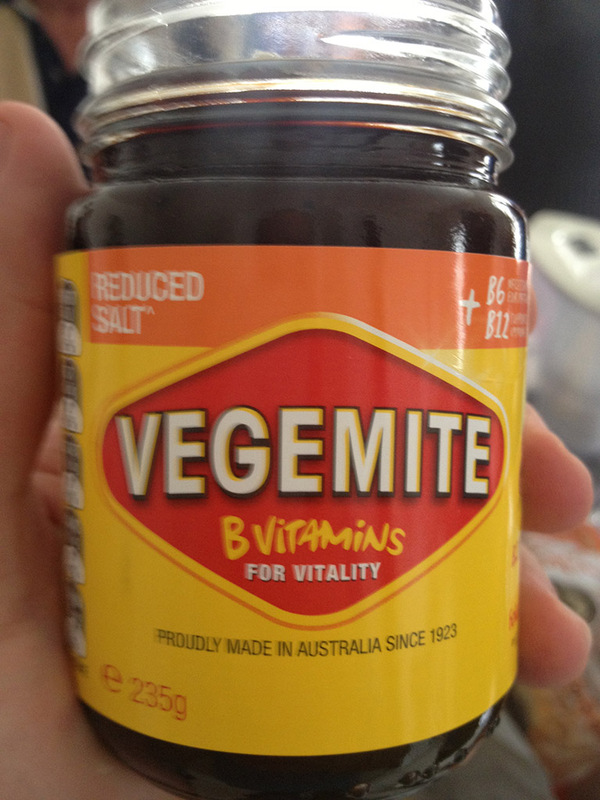 They are best consumed in Australia but are not that bad at all when you bring them back home. There are variety of flavors but originals and dark chocolate are my favorites.